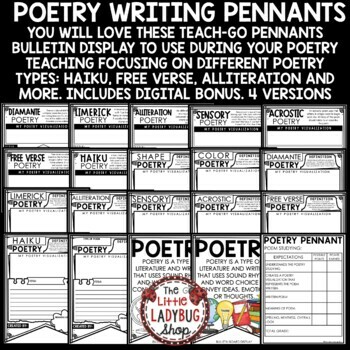 You will love these Poetry Writing Poster Pennants that are perfect for you to use as your students master studying these poems.Your students will LOVE seeing these displayed after they are complete! 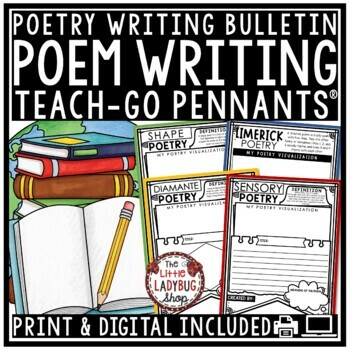 This Poetry Writing works perfectly for students in 2nd grade, 3rd grade, 4th grade. I included 2 sets for you to decide which sets works best for your students. 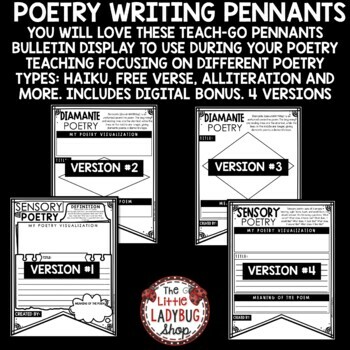 I would have students learn poem type and create a rough draft before using these as final publishing pages. All in 3 options to meet your students needs.